An SMN reader asked this week: “Can I buy Fantastic Plastic products direct in the UK?” Well, we don’t think so, but if there’s a supplier out there who we don’t know about, contact SMN and we’ll give you a mention. 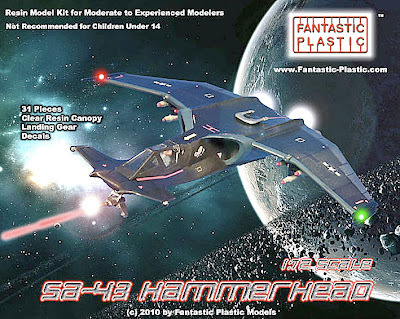 But talking of Fantastic Plastic, there’s an interesting new release from this US company, in the form of the Hammerhead air-space fighter from the TV sci-fi series Space: Above and Beyond (S:AAB), which aired for just one season in 1995-6. 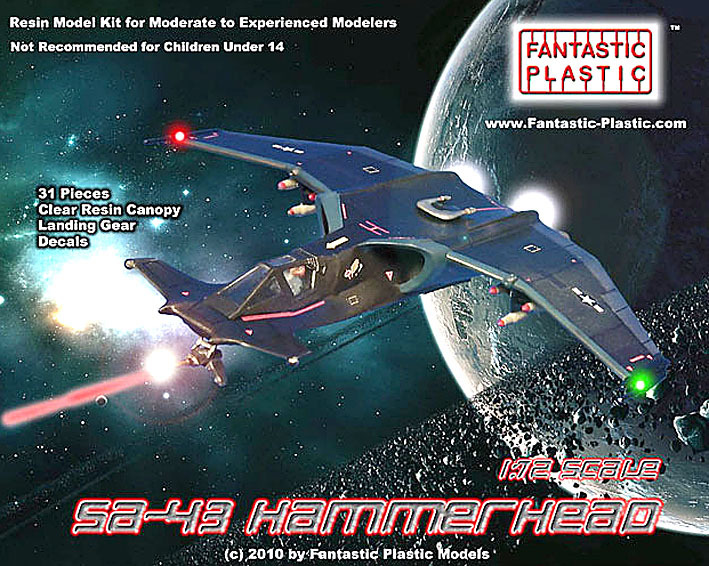 Thanks to the likes of the YouTube clip shown above, S:AAB lives on as a cult military-tech-drama, and the 31-component Hammerhead, released on December 21 2010, is a neatly-produced reminder of the series. Fantastic Plastic supplies the canard-design Hammerhead to 1:72 scale, and parts for the single-seater are cast in resin, with a clear canopy. 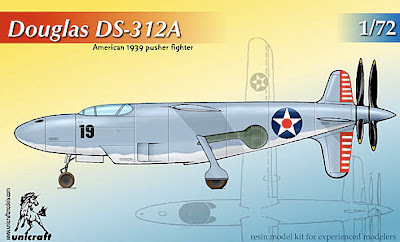 This month sees a host of Fantastic Plastic releases, including the pusher-prop Douglas DS-312A heavy fighter from 1939. It never went into production but paved the way for a number of pusher designs through the 1940s. 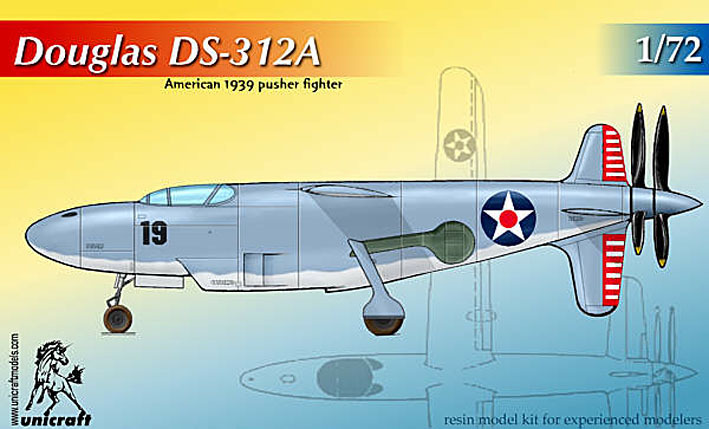 Incidentally, this appears to be a remarketed version of the DS-312A from Unicraft Models, a company that produces the most amazing collection of weird, wonderful, and just plain extraordinary aircraft. 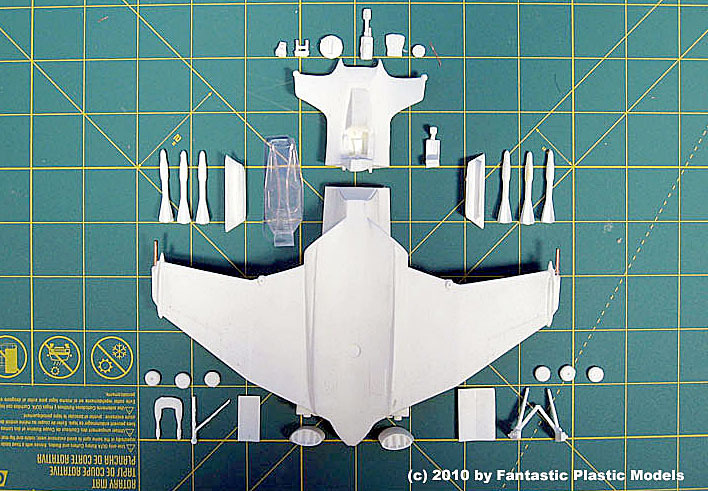 Many of them are of unrealized projects, so visit Unicraft if you have a thirst for the world of what-if aviation. The best way to get Fantastic Plastic stuff is direct here.